Arrival of Their Royal Highnesses The Prince of Wales and The Duchess of Cornwall at the Robert L. Bradshaw International Airport. 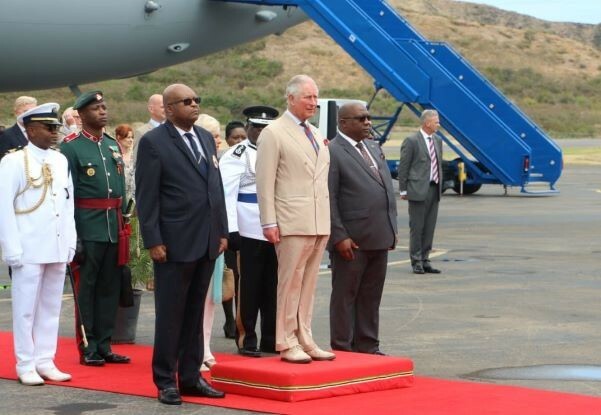 His Royal Highness (center) with Governor General, H.E. Sir Tapley Seaton (left) and Prime Minister Dr. the Honourable Timothy Harris (left).